There are countless skin care products available to treat skin discolorations known as “hyperpigmentation”, such as brown spots and melasma. There is also just as much confusion and misinformation, surrounding topical Hydroquinone and Non- Hydroquinone products. The fact is they are both necessary, as each have a place in correcting and maintaing pigment irregularities. I am a proponent for Hydroquinone and for good reason, when used correctly it is arguably the most effective topical for treating hyperpigmentation. I am also a proponent for Non-Hydroquinone skin brighteners, because I do not support using Hydroquinone indefinitely without pulsing on and off. If you understand how hyper pigmentation occurs, you are better able to understand how to treat it. The process of producing pigment (melanogenesis) is complex, with many process, so I am giving the short version. When the skin has hyperpigmentation, it means that, there are melanocytes that are over producing melanin (pigment) AND that those pigment cells are not being evenly distributed to the skin cells called keratinocytes. Something must first, trigger the increase of tyrosinase activity, this can be sun exposure, hormones or inflammation. Tyrosinase is an enzyme in the skin that controls the production of melanin. One of the main goals in treating hyperpigmentation is to inhibit the tyrosinase, so that it will not trigger the overproduction of melanin (pigment). Products that aim to do this use ingredients that we call “tyrosinase inhibitors”. Hydroquinone is a strong tyrosinase inhibitor, however there are also non-hydroqinone tyrosinase inhibitors that are effective. Hydroquinone is a strong tyrosinase inhibitors and very effective at treating hyper pigmentation. There is concern, however that with extended use the skin may become resistant to the effects. This is why it is important to use hydroquinone under professional guidance. The general idea is to maximize correction, before you build resistance. Many dermatologists and skincare professionals are now recommending pulsing on and off hydroquinone. If you are using or plan on using hydroquionone products, I recommend you read “Hydroquinone: What you need to know, to maximize it’s benefits and prevent resistance”. When you are pulsing off hydroquinone, you may want to use a non-hydroquinone skin brighter. Look for a brightener with tyrosinase inhibitors. Ideally, non-hydroquinone skin brighteners should be formulated with a combination of ingredients that will have an effect on the various stages of melanogensis (the formation of pigments). Antioxidants and exfoliants play a role in melanogensis and should be part of a skin care regimen, along with a tyrosinase inhibitor. 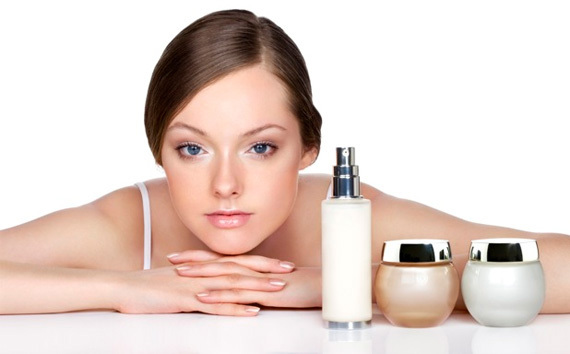 I am including a short list of some commonly used ingredients in Non-hydroquinone brighteners. For best results begin by preparing your skin to best absorb the topical products you are using, this is done by properly cleansing and toning skin. Topical antioxidants and a broad spectrum SPF, are a MUST, because they help block the effects of “triggers”. We also recommend some type of chemical exfoliant, such as glycolic or lactic acid. These help by exfoliating melanin filled skin cells from the surface, which accumulate and cause pigment to be more dense, making it look darker. Retinoids such as tretinoin (Retina-A) work by inhibiting the transfer of pigment to skin cells, this blends pigment for even skin tone. Retinoids also work as a tyrosinase inhibitor. Finally, if you are not seeing the results you want with topical products alone, consult with a skin care provider to discuss which treatment options are best for you. Typically, we recommend chemical peels or PhotoFacials (IPL or BBL), depending on skin type and conditions being treated. This entry was posted on Saturday, September 12th, 2015 at 4:30 pm	and is filed under Skin Care Products, Skin Discoloration / Hyperpigmentation. You can follow any responses to this entry through the RSS 2.0 feed. You can leave a response, or trackback from your own site.